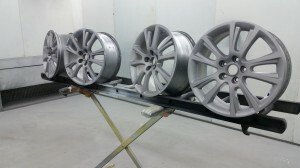 Skoda Fabia VRS Alloy wheel repair and colour change ! Another wheel restoration in this week on a Fabia VRS ! 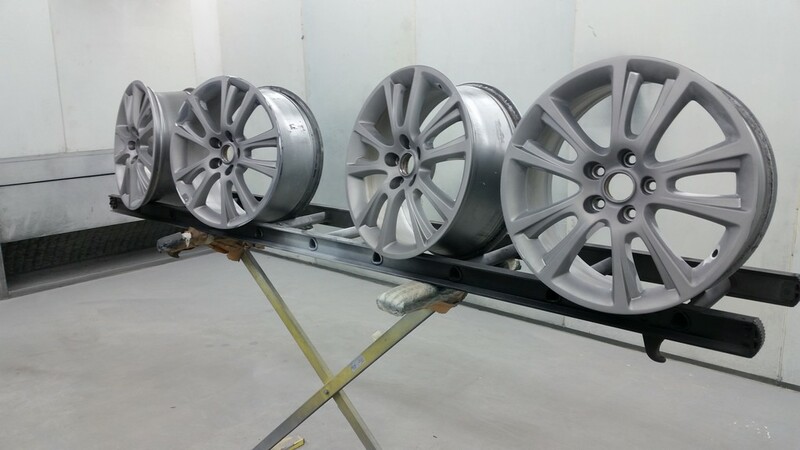 The wheels had a bit of damage and required a bit of attention before we painted them. 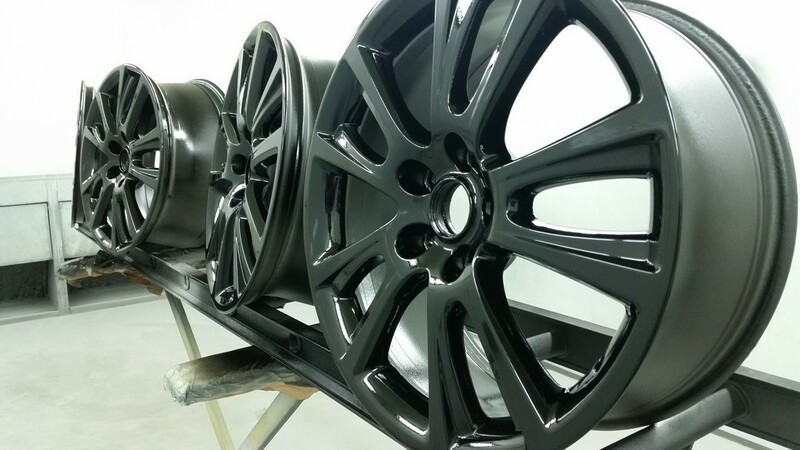 After all the prep work a coat of acid etch and 2 coats of wet on wet primer are applied, then 2 coats of solid high gloss black to finnish them off. 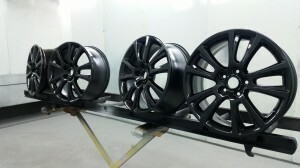 Just waiting to harden off and have the tyres re-fitted ! For more please get in touch !